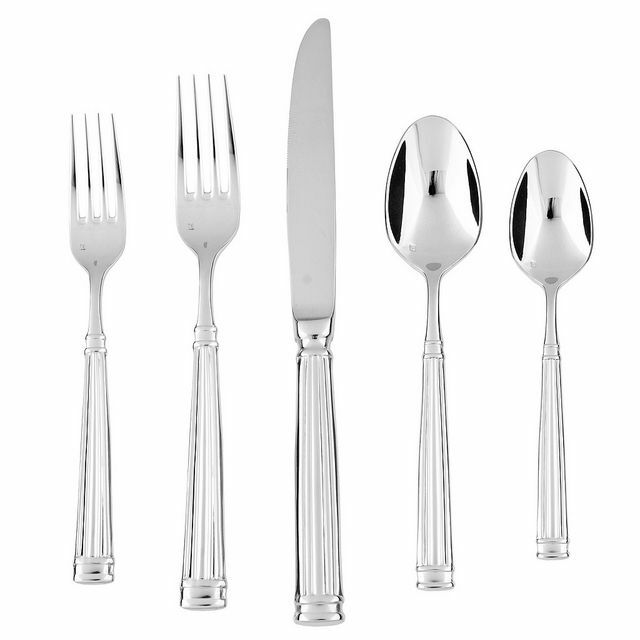 Handsome, heavy-gauge polished 18/10 stainless-steel set features ergonomic handles with good heft and balance. Full five-piece place setting is timeless and looks beautiful at any table. 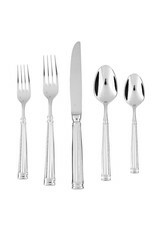 Place setting includes salad fork (7" x ¾"), dinner fork (8" x 1"), soup spoon (7" x 1½"), teaspoon (6" x 1¼") and knife (9½" x ¾"). Dishwasher safe.